Chestnut Hill Homes and A2A Properties are developing a new project called Life Condominiums, which will be a 13 storey boutique condo located in Midtown Toronto. 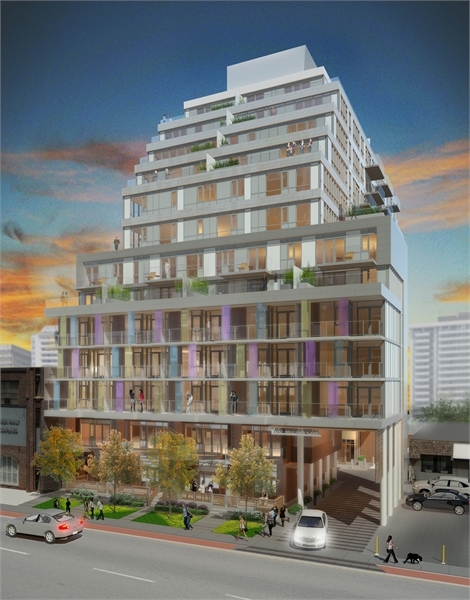 It will be situated in Davisville at 68 Merton Street, just east of Yonge Street. The area offers a charming array of shops, cafes, bistros and restaurants. Life Condos will only be a short walk to the Davisville subway station, and a 15 minute ride downtown. This project will have 149 suites, ranging is size from 488 sq ft to 1342 sq ft. Suites will come with large balconies or terraces, and offer fantastic features and finishes. They have open concept layouts, ample closet space and plenty of room for comfortable living. The lobby will have a warm and welcoming ambiance, with a 24 hr concierge, plush seating areas and decorative accents. The building will feature a state-of-the-art fitness centre, party room, meeting room, and a guest suite. Suites start from the high $200’s. The proposed cccupancy is April 2014. >>Click here to contact me if you are interested in this project, or any other Toronto condo or loft project.